The holidays are right around the corner and in Oklahoma that means that it is getting colder and colder. We have put together some tips to save you from the troubles and costly repairs that come with the extreme cold. Make sure that your outside water hoses are disconnected to prevent pipes bursting. Take a walk around your home to check that all faucets are not dripping or cracked. Even small cracks and drips can cause a pipe to burst in the cold months. Check to make sure that your water heater is set to around 120-125 degree Fahrenheit. 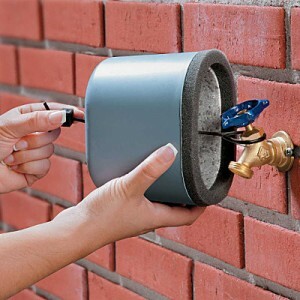 Wrap outdoor faucets and indoor pipes in insulation or heating tape to prevent from freezing.